Commercial storage container rentals for businesses don’t have to break the bank – and it doesn’t mean you have to drag your inventory to a storage facility either. A.B. Richards will provide you with convenient, affordable on-site commercial storage container rentals for all of your needs. With thousands of satisfied clients, including department stores, retail stores, specialty stores, warehouse club stores, convenience stores, and restaurants, A.B. Richards will meet your needs and exceed your expectations. Organization – Businesses have a variety of storage needs that can easily be solved by on-site storage containers. Are you a restaurant owner who needs to store outdoor table and chairs in the winter and other off-season equipment? Or a store owner with extra inventory for the busy season? Or an attorney who needs to store old files? On-site storage containers keep your essentials nearby while allowing you to reduce clutter, free up space and make it easier to organize and improve the appearance of your office, store or restaurant. Let A.B. Richards help you get organized. Security – Keeping your assets safe is A.B. Richards’ number one priority. Our storage containers are made of 14-gauge steel and have high-quality locks for your security. They’re also weatherproof so your contents will be safe in the changing weather of the northeast, which can range from very hot weather to blizzards and hurricanes. Keep your files and inventory safe, secure and where you can see them in an A.B. Richards steel storage container. Convenience – No one wants to drive to another location to replenish inventory or get a file. With A.B. Richards’ storage containers, you don’t have to because you’ll have everything you need on your property, saving you transportation time and money. Keep everything you need nearby without cluttering up your office, store or restaurant. Call A.B. 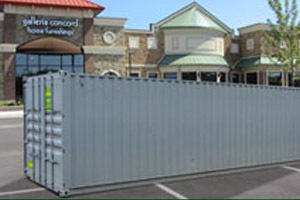 Richards today to arrange to have a storage container brought to your commercial (or residential) location. 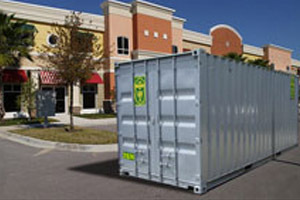 For your convenience, we have commercial storage containers in three sizes. 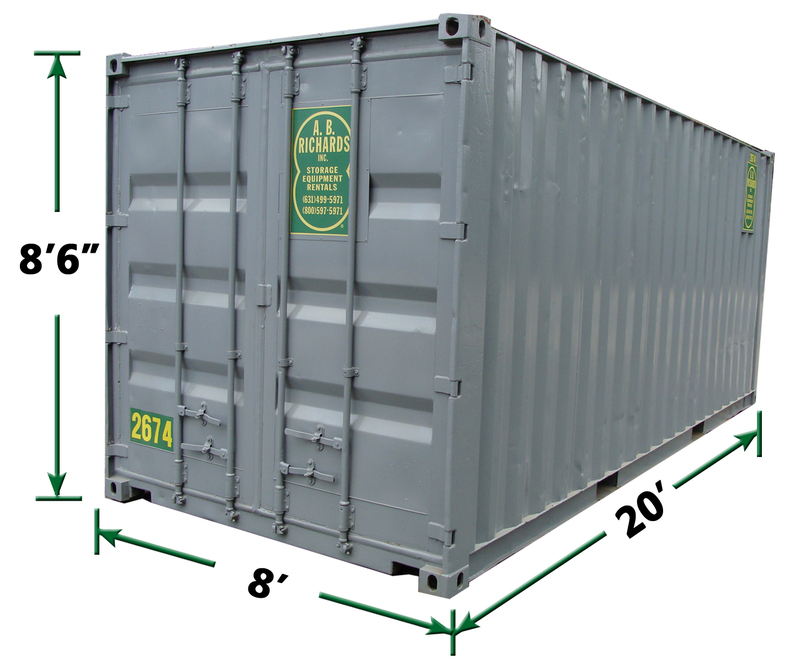 Our 20ft storage container is great for file storage and small projects. 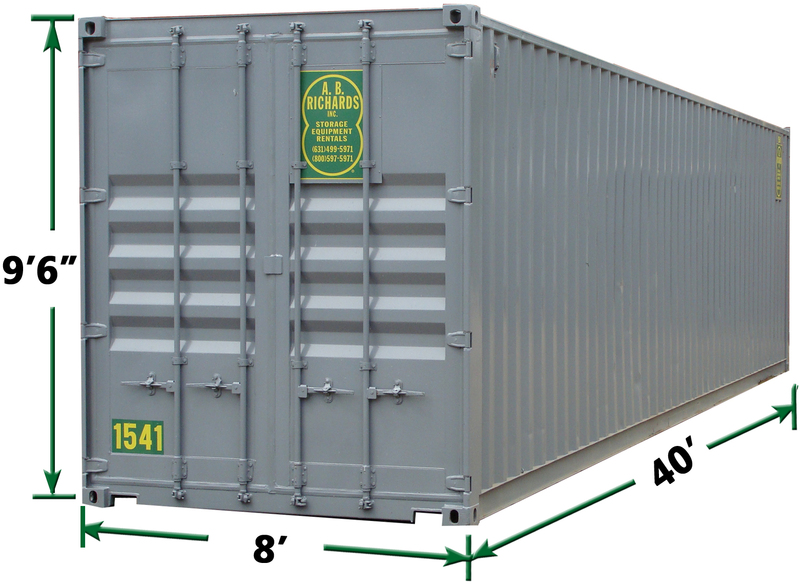 Our 40ft storage container is perfect for businesses that need to store surplus inventory. 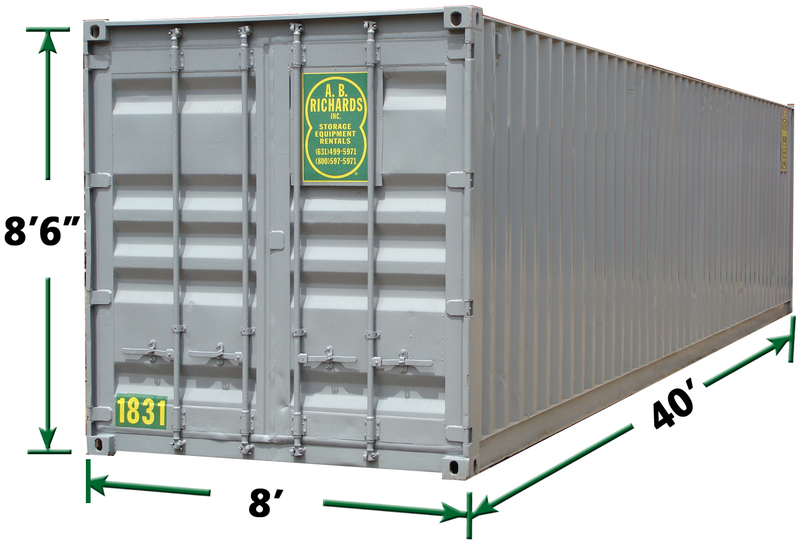 Then our 40ft jumbo container has an extra foot of height that is ideal for larger/taller items. Low Cost – A.B. Richards has some of the most cost-efficient storage containers in the industry. Compare us to other storage units and you’ll find that A.B. Richards doesn’t really have competition. Convenience – On-site storage keeps your files, equipment, and inventory where you need it. 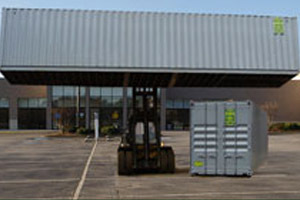 We will deliver your storage container to any location in New York, New Jersey, Connecticut, Pennsylvania, Rhode Island, Delaware, or Western Massachusetts. Just call A.B. Richards and one of our storage solution experts will get you set up. Space – At many other companies, the largest container is only 16 feet long, which means your belongings will be crammed in, without room to maneuver. At A.B. Richards, you have a choice of affordable 20ft, 40ft, and 40ft jumbo storage containers, providing you with plenty of space, affordability, and convenience. Durability – Made of 14-gauge steel, A.B. Richards’ storage containers are strong enough to withstand heat waves, thunderstorms, hurricanes and blizzards. They’re fire resistant, too. Store your inventory and files safely with the company that’s been trusted for more than 30 years. For more information about how we compare to our competitors, check out our comparison chart here. If you need storage, call A.B. Richards and one of our trained storage solution experts will guide you through the process of arranging the right storage container for your needs. Call A.B. Richards today at (800) 597-5971 or fill out a contact form for convenient, affordable on-site containers.